As I settled into my craft room on this beautiful sunshiny Friday here in Texas, I felt a little scattered and not sure exactly what I wanted to work on. I started by cleaning off my table, putting away some recently completed layouts and unpacking the supplies I took to Crafty Tuesday. 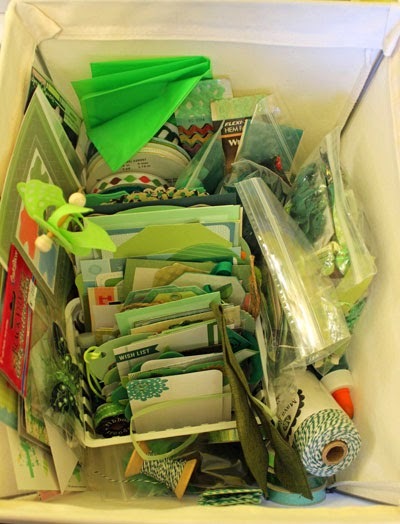 Along with winter and Christmas crafty inspiration from Jennifer Grace's Frosty Festivities 2014 weekend, I decided to focus on using up some of my green supplies this weekend. 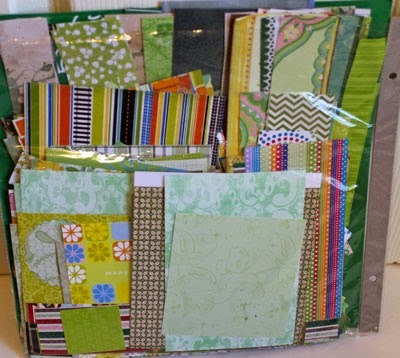 I made this decision because my green paper drawer is filled to the brim . . .
. . . my green color bin needs a little re-organizing . . .
. . . my green small embellishments drawers will barely close . . .
. . . and my scrap file is full of solid . . .
. . . and patterned paper scraps! 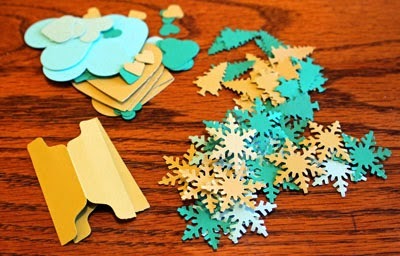 And, of course, I associate greens with Christmas and plan to complete my Christmas cards this weekend. I had a few pieces of solid scraps left over from the cards I made earlier this week at Crafty Tuesday, so I started by punching those into a variety of shapes. Next, I pulled up my blog reader intending to use some of my time today to catch up with a week's worth of unread posts. 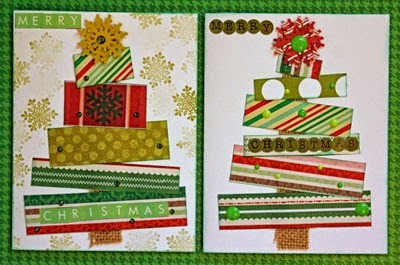 Jacky's Christmas cards using scraps was all the inspiration I needed to get started on my weekend creating. I copied her design and completed two simple cards. As Jacky so eloquently stated in her post, "simple didn't necessarily mean quick!" What are you working on this weekend? Will you be joining in with Jennifer Grace's Frosty Festivities? perfect for using up those scraps! Great cards, and yes I hope to be joining in wirh Jennifer this weekend. 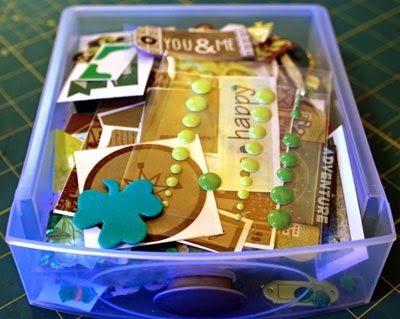 You and Jackie have both created great cards with your scraps! 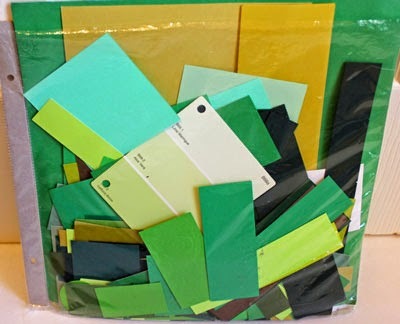 Good luck with the card making this weekend. I've hardly been home at all this week, and the weekend isn't looking much better. Hoping to get back to it next week. Love how your cards have turned out,Melissa.....I think I'll try some with a white background....it gives quite a different feel to them. I loved Jacky's cards and I love these too - as I said to her, I tried to make a version of a card like this last year and it didn't work out at all. I couldn't get it to look right. You've nailed it! Love the scrappy trees. 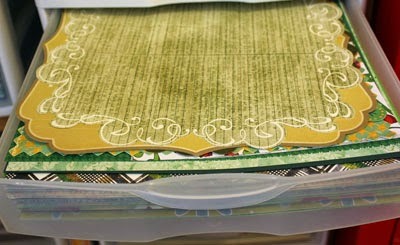 I always feel so good when i can use up a good bit of scraps.